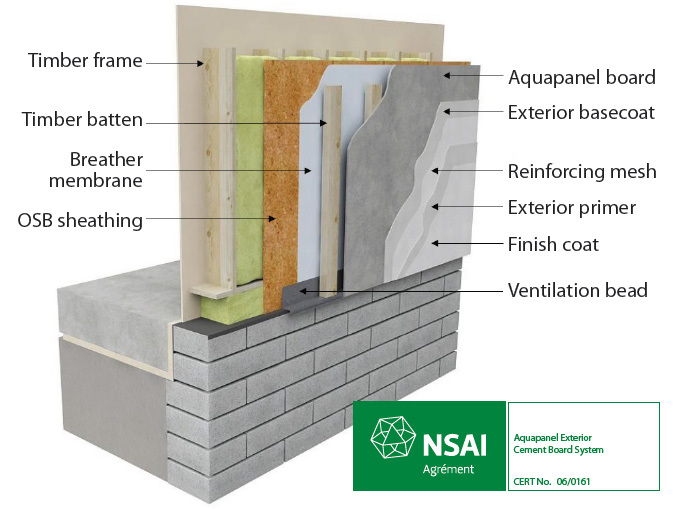 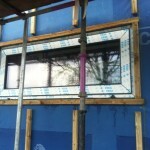 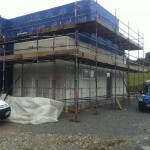 We have chosen to finish the exterior of the ground floor of our house with an Aquapanel Cement Board System. 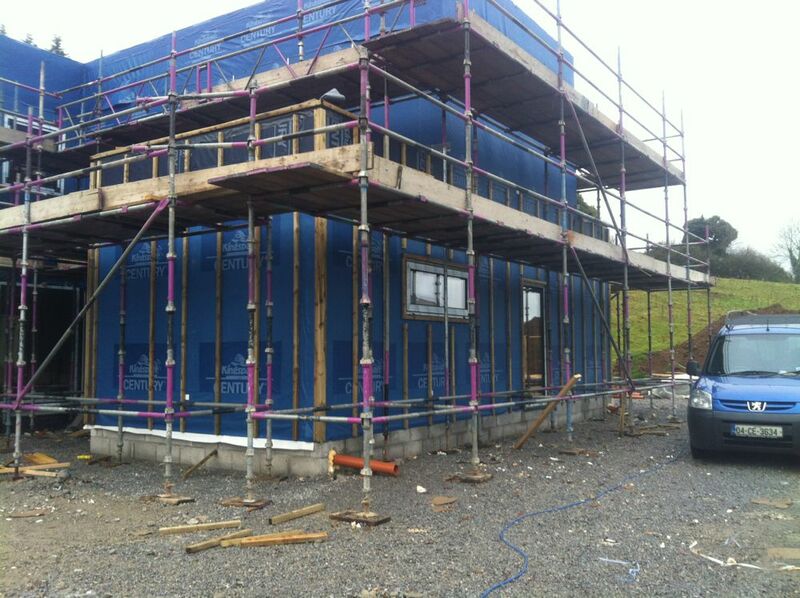 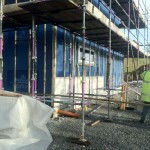 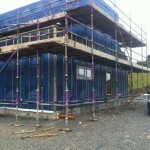 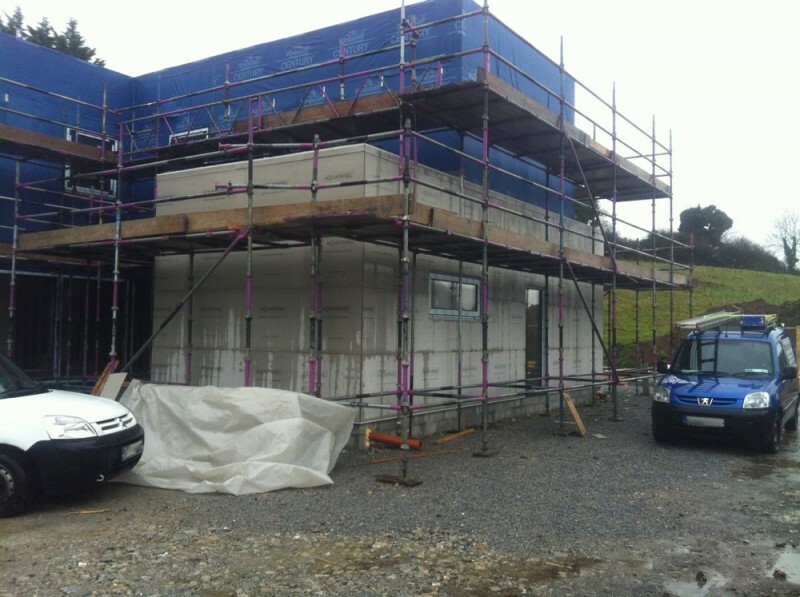 This is a type of special plasterboard with a high performance render applied. 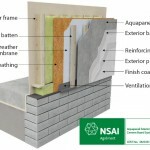 You can see more on the Greenspan Aquapanel system here. 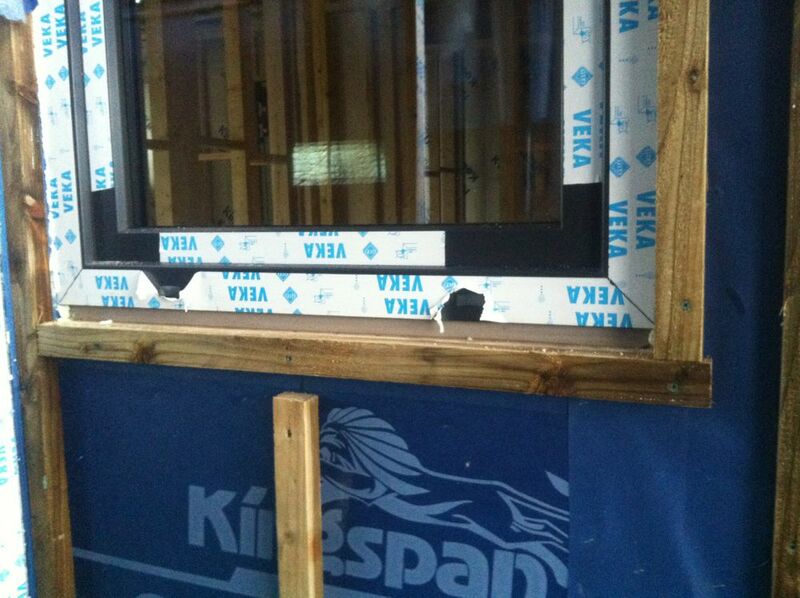 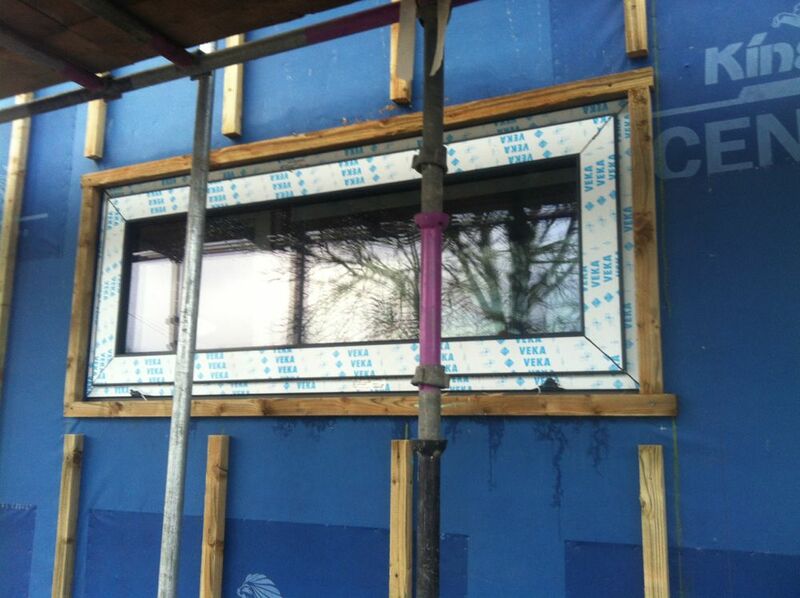 It is well suited to our Kingspan frame system as it is lighweight, weatherproof and easy to maintain. 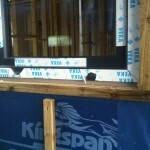 The work is now underway with the first delivery of Aquapanel Boards, beading, basecoat and mesh strips. 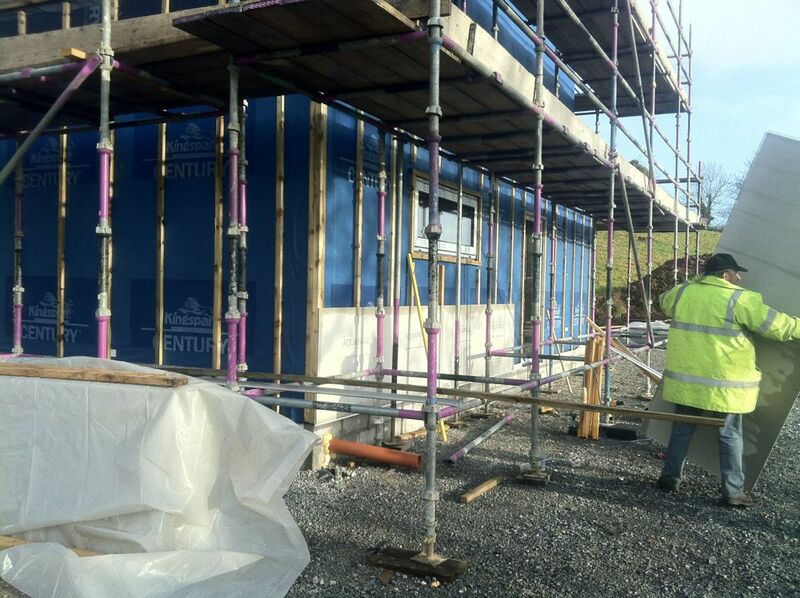 The entire ground floor has to be battened-out with 37mm vertical battens and all windows, doors have to be edged before the boards are fixed. 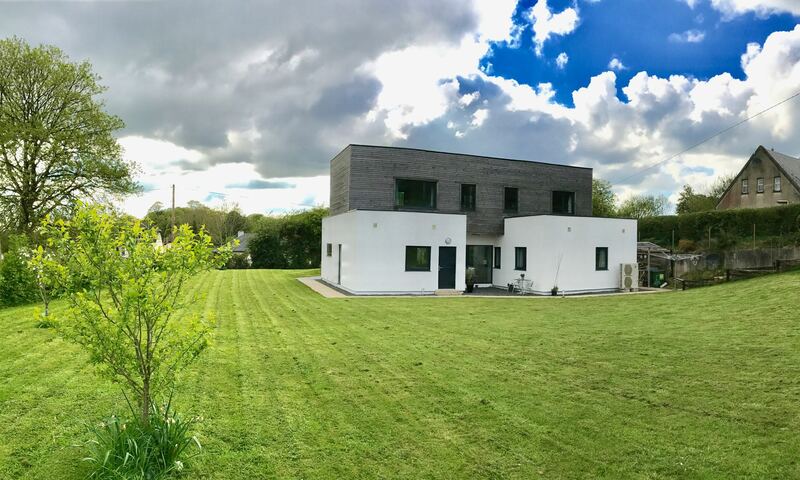 We plan to use a mineral render and finish which should give us a long-lasting & brilliant white finish that we can wash down every year with a power hose to keep it clean.